Early Motown evidently had a thing about the letter V. In addition to the Vandellas (featuring current Detroit city councilwoman Martha Reeves) and the Velvelettes, there were the Valadiers. "I don't know what a Valadier is," Stuart Avig confesses. "I think it had something to do with being a brave warrior, brave Roman, something like that. The group was already named that when I joined it." That was in the late '50s at Oak Park High School. According to legend, an integrated version of the group had previously approached Gordy. "Come back when you're one color," he reportedly said. They did, and were signed in late 1959. Avig was only 16. Although a Pontiac-based instrumental group, Nick and the Jaguars, had earlier cut a single with Motown, and a handful of white vocal acts (most notably Rare Earth) would come aboard in the '60s, "we can legitimately say we were the first [white vocalists]," he says. The quartet - Avig, Jerry Light, Art Glasser, and Martin Coleman - blended doo-wop with early R&B. Avig, a dynamic lead singer, was influenced by such black acts as the Dells, the Flamingos, and the electrifying Jackie Wilson (a native Detroiter for whom Gordy had written several hits in pre-Motown days). "Race relations were different then," Avig says. "Detroit was a segregated city. We were copying the black sound, which didn't go over well with everyone. At Motown, people were professional, but not everybody was overly cordial or friendly." The Valadiers' first recordings didn't make it out of the vault, but in 1961 a song about the draft, "Greetings (This Is Uncle Sam)," was a minor regional hit. Avig recalls one show-stopping performance at Cleveland Arena. "The Isley Brothers were headlining. They came on after us, and we got a bigger ovation than they did." After a couple of lackluster follow-up singles, the group left Motown. Avig received his own draft notice in 1964, serving two years in the Army. After his discharge, he gave music another whirl before marrying and settling into a new career in the precious-metals refining business. Today, Avig performs as a member of a blue-eyed soul group called The Shades of Blue. He remains mostly upbeat about his Motown experience. "The Four Tops, the Temptations, the Supremes - they were all pushed to the hilt. As far as promoting us with as much intensity as they did black acts ... I have no complaints. I'll be forever grateful to Berry Gordy for signing us. He didn't have to do it." 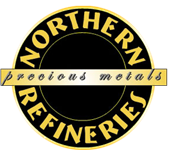 Copyright © 2018 Northern Refineries. All Rights Reserved.